Synapse Principal Economist Liz Stanton's OpEd on natural gas pipelines was recently featured in CommonWealth Magazine. Want to know how Massachusetts can lower electric bills while safeguarding the health of not just our own children but everyone else's children, too? By following our existing state and federal environmental laws and continuing to lead the nation by setting the standard for the clean energy economy. At a webinar last week, “Clean Power Plan - New Policy or New Normal?,” Synapse’s Dr. Elizabeth A. Stanton hosted Senior Associates Patrick Luckow and Pat Knight for a conversation about how declining costs of both natural gas and solar power impact clean energy planning. At a webinar last week, “New Perspectives on RGGI and the Massachusetts Global Warming Solutions Act,” Synapse’s Dr. Elizabeth A. Stanton hosted Senior Associate Pat Knight and Mass Energy Consumer Alliance’s Larry Chretien for a discussion of Synapse’s RGGI modeling work and the recent Massachusetts Supreme Judicial Court decision on the Massachusetts Global Warming Solutions Act. At a webinar last week, “A Fresh Outlook on the Clean Power Plan,” Synapse’s Dr. Elizabeth A. Stanton hosted Senior Associate Sarah Jackson and Harvard Law’s Kate Konschnik for a discussion of the current outlook for the Clean Power Plan and what efforts toward decarbonization are still happening in the United States. Data released May 26 by the EIA shows that March 2016 was a historically low month for coal generation in the United States. National coal generation dropped to just 72 TWh, the lowest level of monthly coal generation measured since April 1978 (see Figure 1). While before 2015 it was uncommon for natural gas generation to approach equivalent levels of coal generation, in March 2016 nearly 1.5 times as much electricity was produced from natural gas-fired generators as coal-fired generators. Synapse families and friends gathered at the Cambridge Boat Club on Friday, May 6th to celebrate two decades of improving energy planning. In a brief but heartfelt speech, Founder and CEO Bruce Biewald thanked those in attendance for the hard work and integrity that has stewarded Synapse’s growth. Principal Associate and long-time Synapster Paul Peterson followed with a few words on how he has thrived in Synapse’s collaborative, non-bureaucratic culture. Economy-Wide Emissions Modeling for the Real World: Conventional electricity modeling done in isolation no longer cuts it in a world that is rapidly transitioning to a new energy future. As we increasingly electrify our transportation, building heating, and other energy end uses, substantial energy and emissions will be shifted to the electric sector. Today’s electric system looks remarkably different than it looked 10—or even five—years ago. Coal generation is retiring at an unprecedented rate and being replaced by natural gas and renewables. 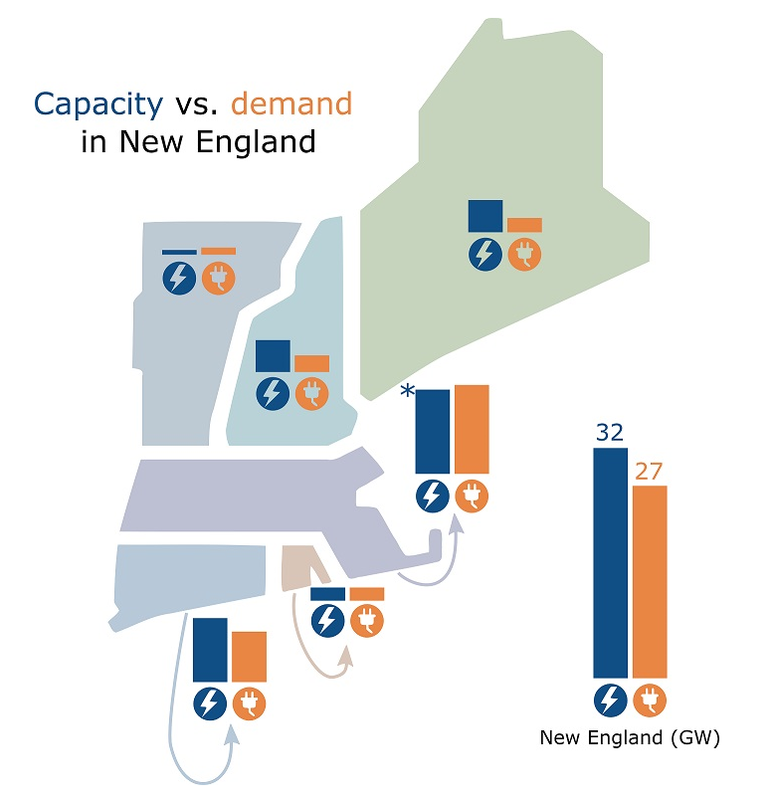 The United States’ wind, solar, and geothermal electric generating capacity now equals capacities from hydroelectric and from nuclear resources. Carbon dioxide (CO2) emissions are at their lowest levels in 20 years, and both total generation and electric sales have remained essentially unchanged for 10 years.